Sea turtles face a number of obstacles on their travels through the ocean. 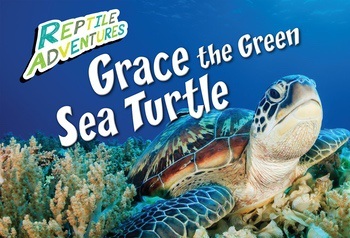 In this engaging book, readers will follow Grace, a charming green sea turtle, on an important journey through the water. Highlighting a significant part of the life cycle, this book also touches on environmental issues facing our waters. Colorful photographs and an exciting narrative will appeal to readers and animal lovers of many ages. As an invaluable resource to complement elementary life-science curricula, this book will make a wonderful addition to any library or classroom.